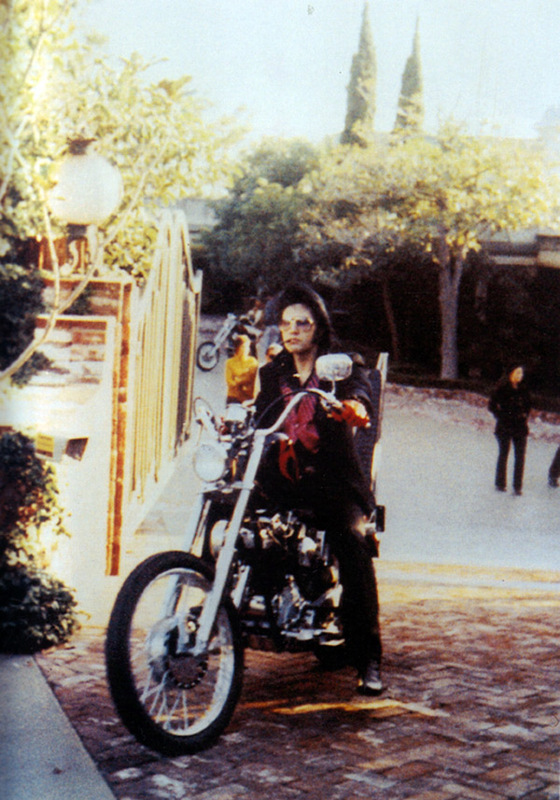 The late sixties saw the emergence of the Chopper craze which was further fueled no doubt by films like Easy Rider in 1969 and C.C. 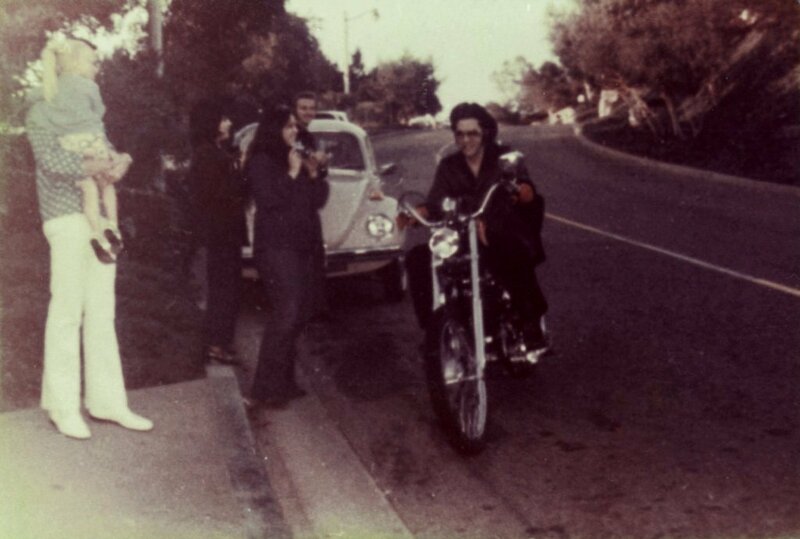 and Company in 1970 the latter of which coincidently starred Ann Margret, who dated Elvis and rode motorcycles in real life. 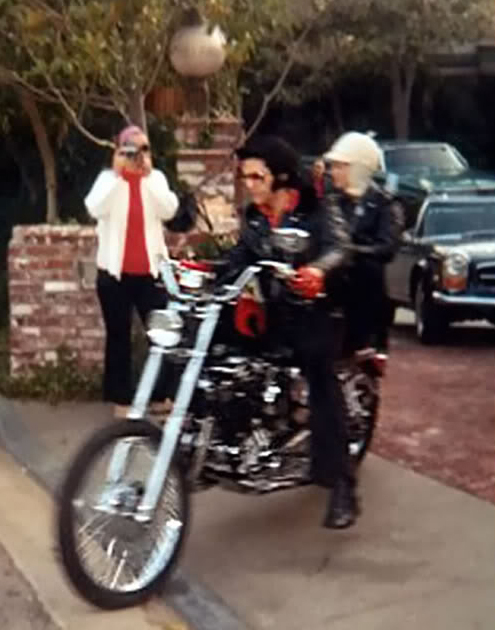 The craze was not lost on Elvis either and while living in California he had a chopper of his own. 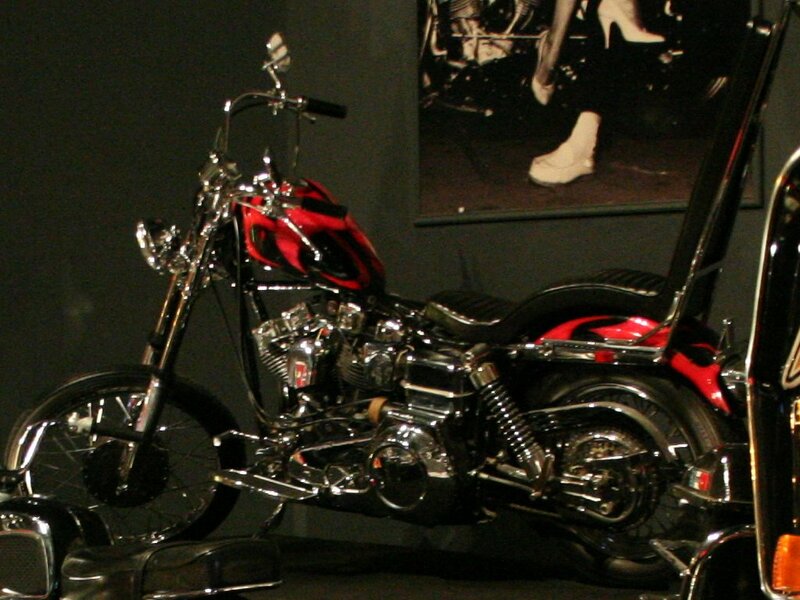 A Chopper, or chopped motorcycle is/was in its essence a motorcycle that, like a bobber, was stripped down of its aesthetic and comfortable components to its basics and customized. It has since become almost synonymous with one that has extended front forks, usually far forward of the handlebars and raked to reduce excessive height and improve control as a result. 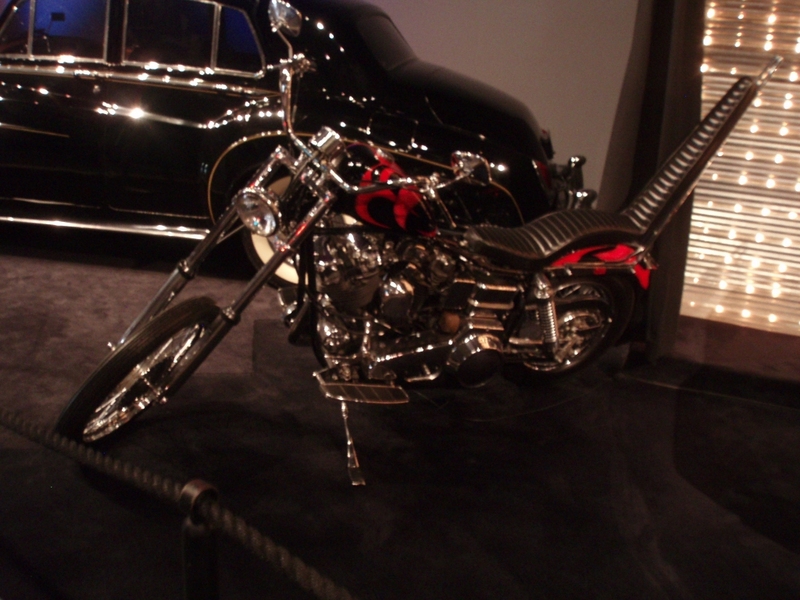 Recent years have seen a resurgence in popularity for choppers and a significant growth in the custom built market no doubt in part with the popularity of cable shows like American Chopper, Orange County Choppers and companies like West Coast Choppers. Scotty even posed on a specialty one several years back at the Gibson Custom shop. 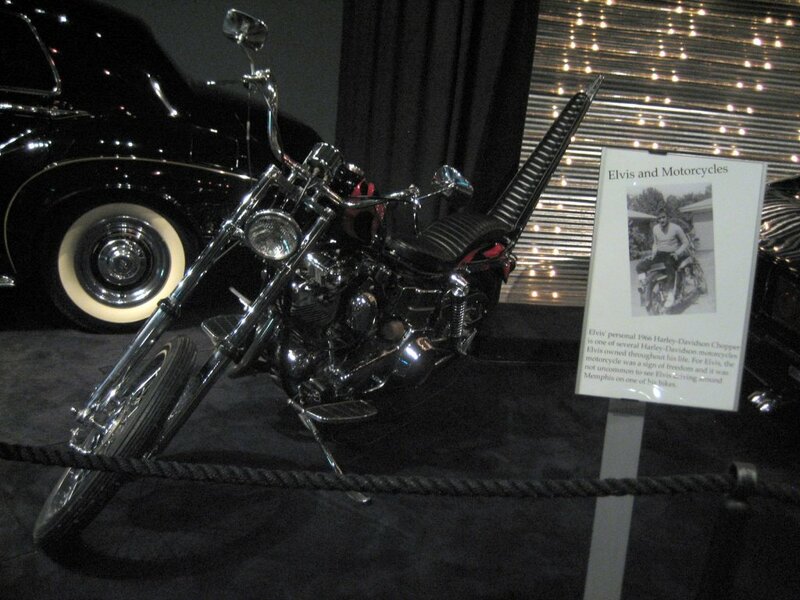 Elvis' Chopper is now part of the collection in Memphis and has been on display in the Auto Museum there across the street from Graceland. 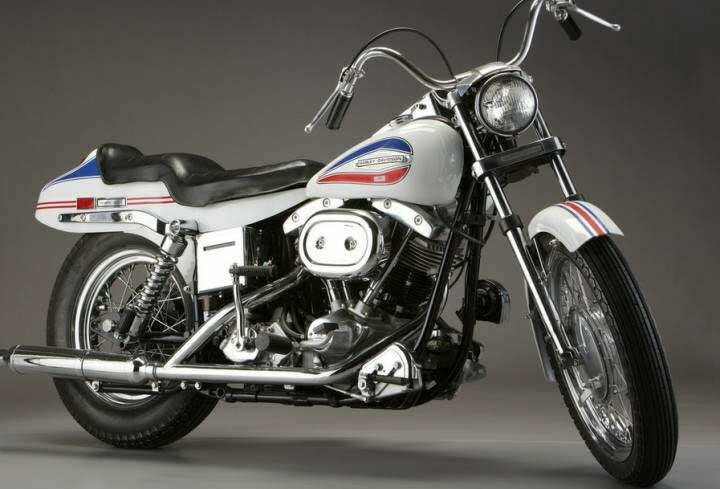 1 according to the engine number obtained when this bike was one that was worked on by Ron Elliott at Super Cycle in Memphis in the early eighties.